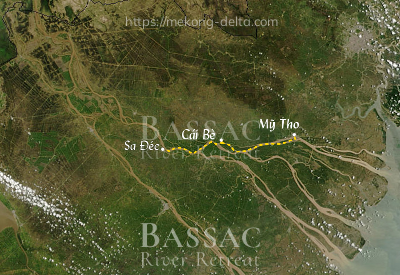 Enquire or book a trip along Cái Bè - Mỹ Tho - Sa Đéc. Boarding at Cai Be with a local boat through the Cai Be floating market. Transboarding onto the Bassac, welcome drink, introduction to the ship and crew. Check into cabins.